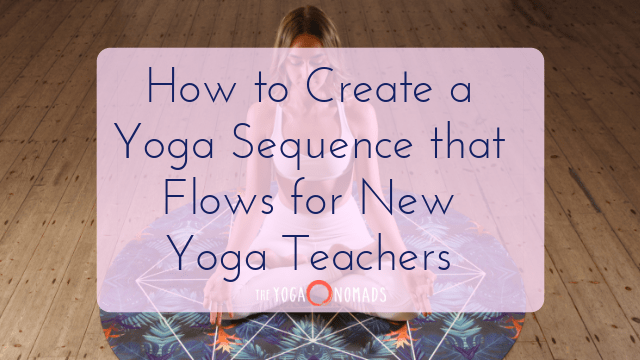 Creating a yoga sequence can feel daunting for brand new yoga teachers. Even though yoga teacher training instructs on the basics of yoga sequencing, putting together a class is an entirely different beast. It can come out choppy and disconnected. Especially with very little experience. Thankfully, I’ve put together a short guide to create your own sequence that flows! Set aside that anxiety, and grab a cup of tea. 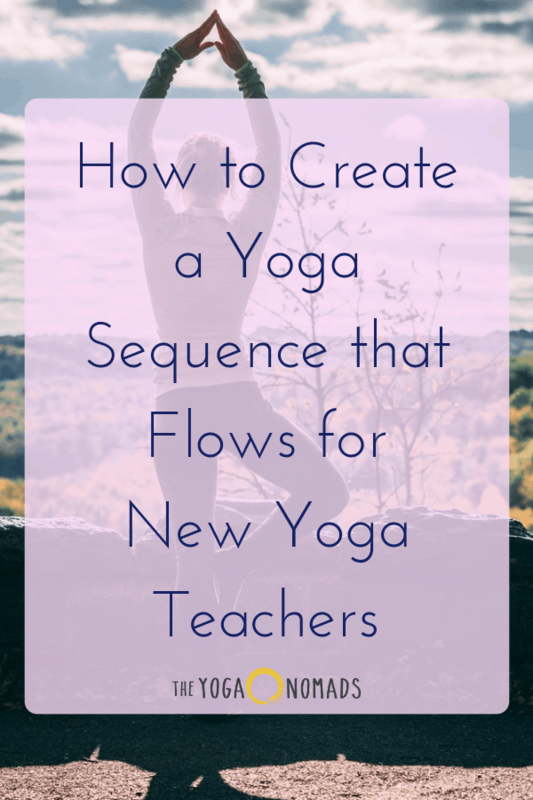 In this post, I’ll be sharing all about how to create a yoga sequence that flows for new yoga teachers. What is the purpose of your yoga class? Once you decide what you’d like the purpose of your class to be, then you can move on to figuring out the actual sequence. To make it easier, you can consider if the purpose will fall into one of the following categories: physical, spiritual, emotional. What poses work with your intended purpose? Think about the poses in your wheelhouse that work with the purpose of your sequence. For example, if your focus is on making students feel sleepy (like if you were teaching a yoga for sleep class), you’ll want to think about poses that are relaxing, require less effort, and don’t overstimulate students such as legs up the wall, reclining cobbler’s pose, and gentle forward folds. If you’re focusing your class more anatomically, such as waking up the spine, think about all the poses that stretch the spine in different ways and strengthen the muscles of the back. By using postures that align with your purpose, the entire sequence becomes even more intelligently integrated – which leads to a better flow! Create a list of all these poses so you know what you’re working with, then find a way to put them together. 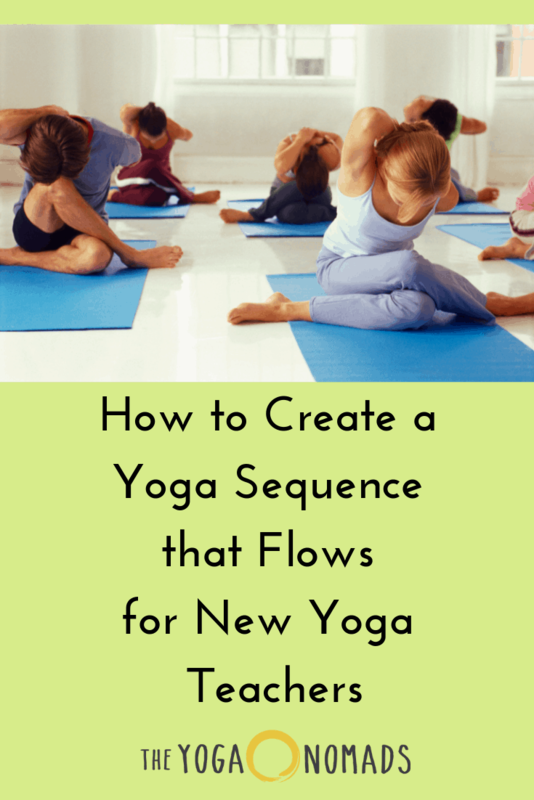 Now it’s time to weave all the separate poses together to craft a yoga sequence that fits with your intended purpose. However, feel free to expand upon this and get creative! Think of this as just your basic structure. How do all of those poses fit into the sequence above? How do the poses relate to each other? When thinking about how poses relate to each other, think about the areas of the body they focus on, the energies they create, and how each pose affects the pose before it and after it. You want your flow to feel harmonious and, well, in flow! Remember, yogis: teaching yoga is a skill – and it takes time, practice, and dedication to get better at it! The more that you create sequences and the more you teach, the easier it will become. The more you can be a student, the better your teaching will become. Get inspired by others’ flows! Attend a variety of classes to fuel your sequencing creativity. Want to learn more about becoming a better yoga teacher? 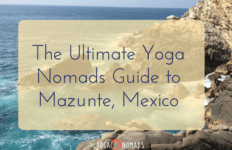 Explore these articles from The Yoga Nomads!